Having a longstanding an successful career in oil trading Pieter Kulsen founded PJK. The company focused on Market Research and Market Analysis. Well known products such as ARA stock report and Rhine barge freight rates were developed by the company. 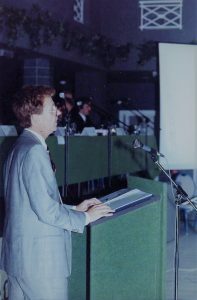 Founded by Jan Brouwer, after having a successful corporate career at Paktank and following the merger of Pakhoed and Van Ommeren into Vopak, the company focused on consultancy in the area of liquid bulk logistics. 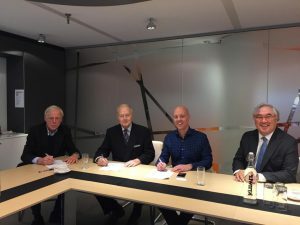 Downstream, now consisting of four shareholders (Jan Brouwer, Rob Luijendijk, Riekes Lie, Frits Ploeg), developed the online terminal database TankTerminal.net. After teaming up with Tony Quinn / TankBank TankTerminals.com was created. Patrick Kulsen, youngest son of Pieter Kulsen, joined the family business and switched from the semiconductors industry to the oil industry. Patrick was PJK’s second employee. Father and son held office in Patrick’s old bedroom. The business continued to grow. Kim Kulsen joined in 2012 and Jacob van den Berge joined in 2013. The office moved to Breda and in 2015 Lars van Wageningen joined the company as well. 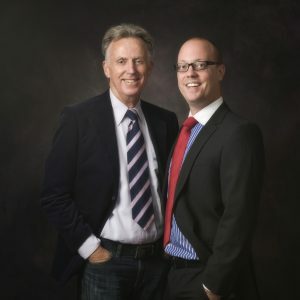 After being a client of TankTerminals.com and having worked together with Downstream on a few occasions Patrick Kulsen and Rob Luijendijk initiated talks that would finally lead to the merger of PJK, Downstream and TankTerminals.com. In 2017 the new combination settled in Breda and began to integrate their business. To mark the final integration of the three former companies the brand Insights Global was launched. The new brand encompasses all the strengths of the three original companies and highlights its main purpose: “providing insights to make intelligent decisions”.